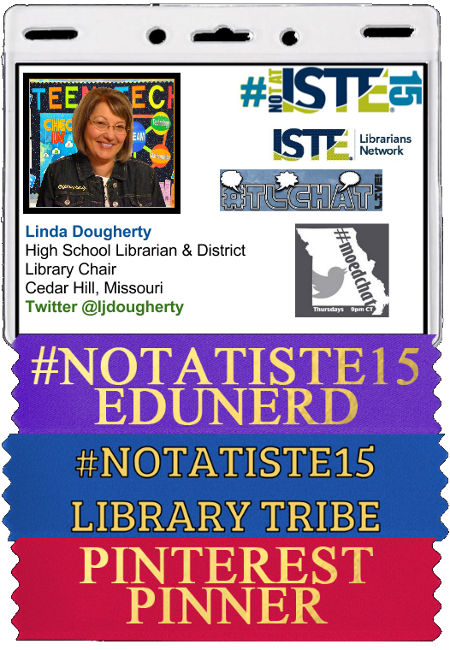 For the first year since 2009 (when ISTE was NECC), I stayed home from the summer pilgrimage to all things techie. Yes, I missed my library tribe but needed the month of June to relax and just hang out. #NOTATISTE15 LiveBinder The LiveBinder team with great volunteers like Laura Gilchrist and Craig Yen put in hours of collecting and organizing resources. ISTE Insights Flipboard organized by Sue Waters and the other Edublog team members. 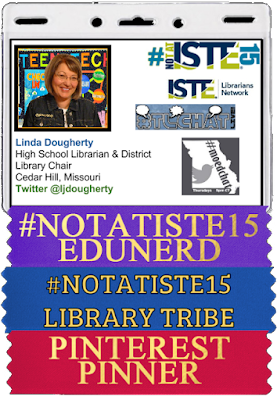 #ISTELIB 2015 A Storify from Dr. Joyce Valenza to catch a bit of the ISTE Librarians Network fun. #NOTASTISTE15: The (Virtual) Experience set up by Anibal PachecoLT. Check this one out for quick links to live presentations. Now to collect the great resources and ideas while I enjoy another cup of coffee. There is something to be said for just hanging out on the couch with an iPad.